Rome - AC Milan striker Ronaldinho has received the 2009 Golden Foot award at a ceremony held in Monte Carlo, Italian media reported Tuesday. As with his predecessors, who each year since 2003 are voted by the public out of a group selected by journalists, the Brazilian will have his footprints cast on the Champions Promenade on the seafront of the principality of Monaco. The award boosts the morale of the 29-year-old international, who has gone through an indifferent spell with Milan as the Serie A giants look for their best form in the early part of the season. Rome - The southern tip of the region of Apulia is far removed from the rest of Italian life. After Bari and Brindisi comes the peninsula of Salento, which is just 70 kilometres from Albania, and points like an index finger south-east into the Mediterranean. The Adriatic and the Ionian Sea surround its coast but its beautiful beaches are not all this part of Italy has to offer. A trip to this small but wonderful place begins in the city of Lecce, the provincial capital, with its churches, castles and amphitheatre. Rome - Italy captain Fabio Cannavaro was on Monday cleared by the nation's Olympic Committee (CONI) over a doping case. Cannavaro tested positive for cortisone on August 29, but said the substance was used to treat a bee sting. His club Juventus Turin informed the CONI about the treatment before the doping test but a CONI reply was reportedly left unopened at the Turin club. Cortisone can be used for therapeutical reasons if the relevant anti-doping authorities grant its use beforehand. Vatican City - The Roman Catholic Church "salutes with appreciation," the awarding of the Nobel Peace Prize to US President Barack Obama, the Vatican spokesman said Friday. The appreciation is viewed "particularly in light of the commitment shown by the President towards the promotion of international peace and recently in favour of nuclear disarmament," spokesman Father Federico Lombardi said. Vatican City - Pope Benedict XVI in talks Wednesday with Palestinian President Mahmoud Abbas expressed hope that a "just and lasting solution," would be found to the Israeli-Palestinian conflict. During their 15-minute meeting in the Apostolic Palace the two leaders held "cordial discussions" in which they also recalled Benedict's trip to the Holy Land earlier this year, the Vatican said in a statement. Rome - Italy's Constitutional Court ruled Wednesday against a law shielding Prime Minister Silvio Berlusconi and other top officials from prosecution. The ruling could lead to the resumption of trials involving the premier, including one for corruption in Milan that was suspended following the introduction of the immunity law last year. 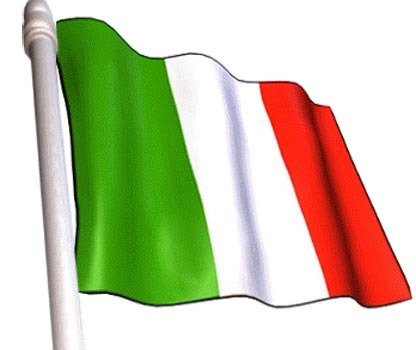 The court, consisting of 14 men and one woman, reached a verdict following almost two days of deliberations over the law which protects Italy's premier, president and two parliament speakers from prosecution while in office. Rome - Serie A giants Juventus are to name a new president later this month as Giovanni Cobolli Gigli is set to step down after three years. Italian media Wednesday quoted John Elkann, the president of Juve's controlling holding Exor, as saying that "Jean-Claude Blanc will be named president. "I'm grateful to Giovanni Cobolli Gigli for these three years, which have been three hard years. 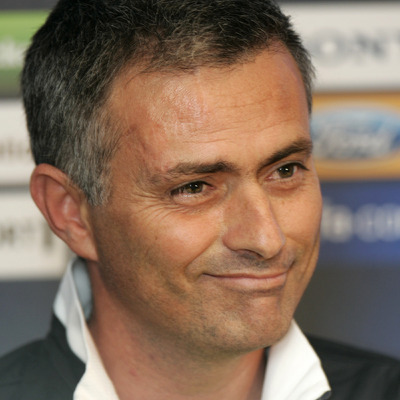 And it's also thanks to him that Blanc can now take on the new post." Rome - Serie A side Napoli Tuesday appeared set on replacing coach Roberto Donadoni with Walter Mazzarri following the team's poor performance so far this season. Napoli president and film producer Aurelio De Laurentiis returned from the US at the weekend after a long absence and said he was going to overhaul the club, hinting at a change of coach after firing director general Pierpaolo Marino. "The fans can relax because I'm working for their future," De Laurentiis told the club's website. Rome - Fininvest, the conglomerate controlled by Italian Prime Minister Silvio Berlusconi, was ordered by a Milan civil court to pay 750 million euros (1.1 billion dollars) in damages to rival CIR, the daily Corriere della Sera reported Sunday. The case stems back to a 1991 deal in which Fininvest (at the time headed directly by Berlusconi) was given control over Mondadori media group by a Rome appeals court. A court decision in 2007 found that Fininvest had bribed a judge to win favour over rival CIR, run by Carlo de Benedetti. Berlusconi himself was not involved in the suit due to statute of limitations. Rome - Pope Benedict XVI opened a three-week long synod on Africa Sunday, with a strong appeal against modern-day colonialism and exploitation of the continent's wealth. The synod is a mass gathering of bishops from Africa, where there are now thought to be around 150 million Catholics. The pontiff warned against the plundering of Africa's wealth, saying that although colonialism was ostensibly in the past it had "never quite finished." The resources of the continent have lead to exploitation, conflict and corruption, the German-born pope said. Rome - A last-gasp tight-angle shot from Wesley Sneijder late Saturday gave Inter Milan a 2-1 win over Udinese to put the title holders at the top of the Italian Serie A. League top striker Antonio Di Natale had levelled an opening goal from Inter's Dejan Stankovic in a pulsating game at the Giuseppe Meazza. After seven games, Inter have 16 points, but Sampdoria, on 15, can regain the top as they play at home to promoted Parma on Sunday, when 14-point Juventus are away in a late game at Sicily side Palermo. Serbia's Stankovic put Inter ahead on 22 minutes unleashing his shooting power off a deep feed from Samuel Eto'o to beat Samir Handanovic despite a deflection from the Slovenian goalkeeper. Rome - Promoted Bari drew 0-0 at home to lowly Catania Saturday to move to the safety of mid-table. Bari now have eight points from seven games in their first season the top flight after an eight-year absence. Although they only won a single game, Bari sit in ninth and boast two draws from their visits to champions Inter Milan and struggling giants AC Milan. Bari's best chance of the first half fell to Vitalii Kutuzov on 29 minutes when the Belarus striker dispossessed Catania's Argentine defender Nicolas Spolli, but his effort came back off the post. There was less entertainment for the crowd at the San Nicola stadium after the break as both sides tired on a pitch which deteriorated due to a rainstorm the day before. Rome - Juventus veteran striker Alessandro Del Piero is to be sidelined for more than a month due to a muscler injury suffered while training Thursday, the Turin club's web site reported. Del Piero, who turns 35 in November, has only played part of one Serie A game this season due a previous injury. He pulled a muscle in his left thigh and promptly underwent a magnetic resonance after which he was diagnosed with a stop of up to 40 days. Rome - Italian Prime Minister Silvio Berlusconi and Pakistan President Asif Ali Zardari presided Wednesday over the signing of a defence memorandum between their two countries. "The agreement aims to increase the exchange of intelligence and bilateral trade in the military field," Berlusconi said, at a joint news conference with Zardari in Rome. Zardari, who said he was "impressed by the personality" of Berlusconi, thanked the conservative premier for Italy's "support in the war against terrorism." 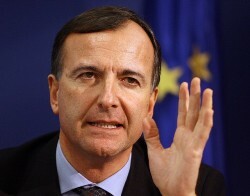 Rome - Italian Foreign Minister Franco Frattini denied Tuesday news reports that quoted him as saying that the European Central Bank (ECB) presidency should go to an Italian. "I've learned from the media that I have proposed (Italian Central Bank Governor Mario) Draghi as successor to (ECB President Jean- Claude) Trichet. It is not true and it could not be true," Frattini said, according to a foreign ministry statement. Rome - Giuseppe Tornatore's Sicilian epic, Baaria, will represent Italy in next year's Academy Awards Best Foreign Language Film category, the Italian film industry association, ANICA, said Tuesday. Featuring dozens of characters and spanning three generations, Baaria tells the story of a family living in Tornatore's birthplace, Bagheria, a town near the Sicilian capital Palermo. The film, in which the dialogue is mostly in Sicilian dialect, premiered at the Venice Film Festival earlier this month, but did not win any award. Rome - The president of Sicily's regional-division side Akragas dedicated a victory to an alleged Mafia boss and could be indicted for his declarations to the media, it was reported Monday. Gioacchino Sferrazza said he wanted to dedicate the win that his side secured Sunday over Sporting Arenella to his "brotherly friend Nicola Ribisi." After reporters noted that his dedication was inappropriate, Sferrazza put his players and coach under a media blackout. Rome - Italy's government has "no intention" of halting the deportation to Libya of would-be immigrants intercepted in international waters, a senior government official said Tuesday. Interior undersecretary Alfredo Mantovano, during a parliament briefing, brushed off criticism of Italy's controversial deal with Libya to "push-back" migrants attempting to reach Italian shores from the North African nation. Rome - Inter Milan coach Jose Mourinho Monday was fined 15,000 euros (21,900 dollars) and suspended for one game for insulting the referee during a Serie A game at the weekend. The league of professional footballers (Lega Calcio) reported that a sports judge sentenced Mourinho for his angry reaction when referee Daniele Orsato didn't book a Cagliari defender who had harshly floored striker Mario Balotelli. The Portuguese coach was dismissed Sunday in the second half of a game his side won 2-1 at Cagliari. Rome - Antonio Conte was to take over Serie A bottom side Atalanta on Monday following the expected firing of Angelo Gregucci. The ANSA news agency reported that Conte, 40, arrived at the club's headquarters outside Bergamo in the afternoon and was expected to begin a training session with his new team. Conte had a brilliant career as midfielder with Juventus, where he won five national titles and one Champions League. He was also an Italian international.